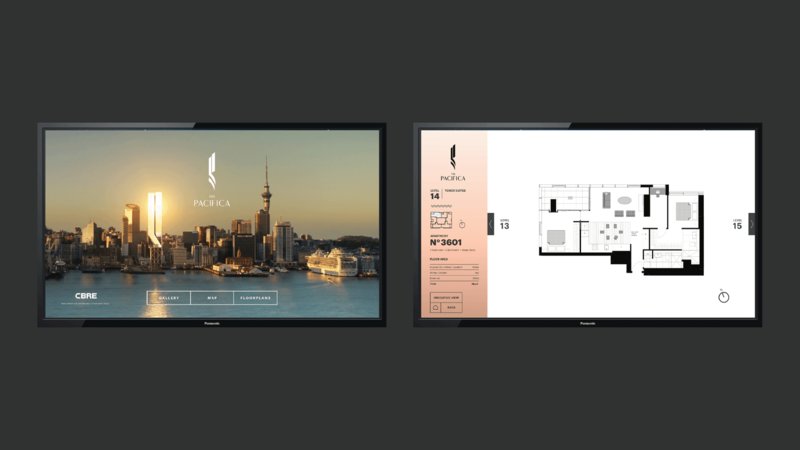 The Pacifica is an iconic new residential development set to transform Auckland’s skyline with a new concept and style of inner city luxury living – sky high. Situated at 10-12 Commerce Street in the downtown CBD, The Pacifica will be New Zealand’s highest residential tower at 178m. 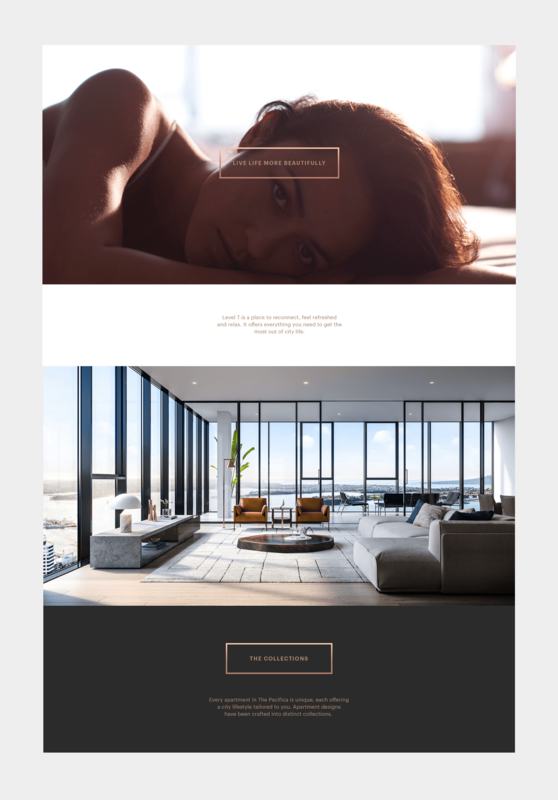 The brief was to create a premium mark that reflects the luxurious interior design and unique architecture. 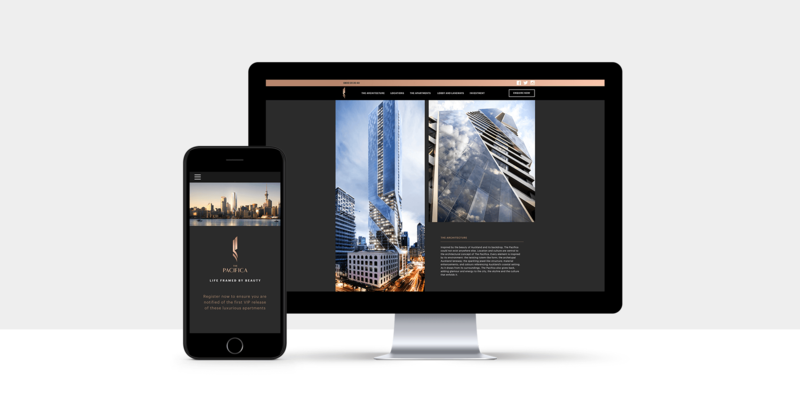 A responsive website and interactive screens for the display center were also designed in conjunction with the branding.